Wellington Walkers are Welcome were contacted via their website by Terry from Regina, Saskatchewan, Canada. 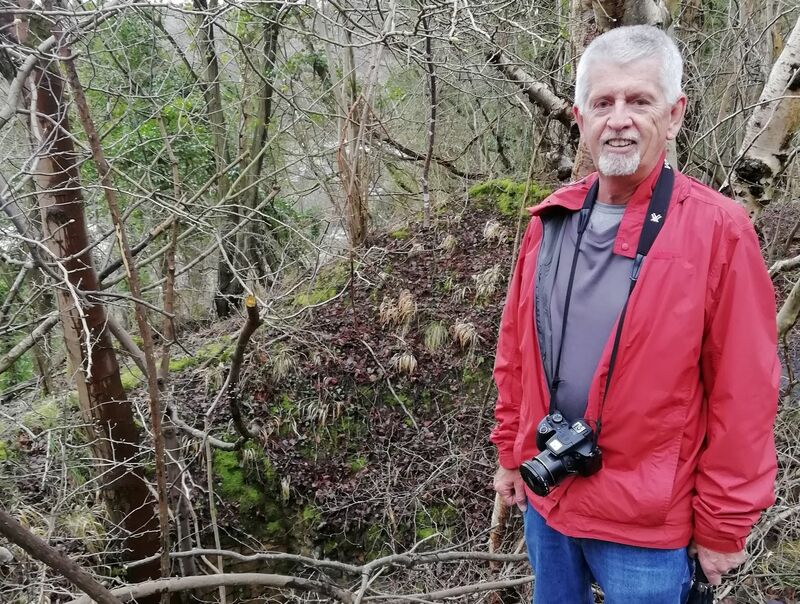 Malcolm, one of their committee members was able to take Terry from the site of his grandfather’s house (Henry Frost, born in 1871) to Steeraway where he worked as a limestone miner from the age of 12. After looking at old maps from 1888, they identified and walked the likely path Terry’s grandfather would have taken, the majority of which still exists today. At Steeraway, they looked at the base of the old limekilns, and then went via some old tramways to one of the original mine entrances before returning along a path across the top of the limekilns where the tramways led to, to supply the top of the kilns with the raw material (limestone and coal) that was being used to produce quicklime. It is even possible that Terry and Malcolm are related as Malcolm has Frosts in his family tree. Terry was very grateful that Wellington WaW had been able to help him by showing him the area. Wellington readily agreed as being open to unusual requests can only be good for their reputation, for Wellington and for Walkers are Welcome nationally.